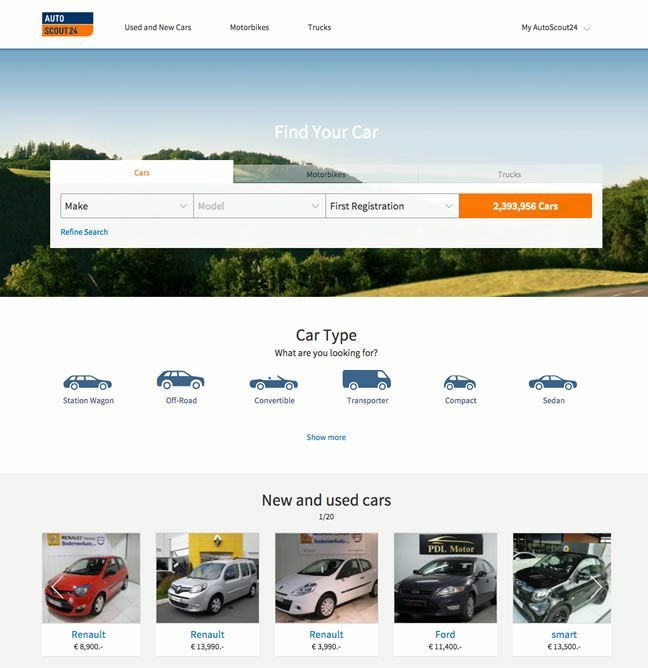 AutoScout24 is Europe’s largest online marketplace for new and used cars, offering a comprehensive platform for trading cars online. With 20 million users in Germany alone, the company operates in 18 countries around Europe. An exceptional user experience is central to AutoScout24’s business and helps them remain a leader in the market. Over the last three years, the company has built a testing program that allows them to address real user problems and make measureable improvements in conversion on their site. AutoScout24 uses A/B testing on almost every page across their website in order to learn about their users and continually improve their online experience. They discovered that small changes can have a major impact and using Optimizely, they have been able to triple their product revenue. Learn more about AutoScout24's testing culture and how they use Optimizely to improve conversion and drive measurable business results (video in German). One part of their site that AutoScout24 optimized is their online contact form, a critical first step in all new transactions on their site. See how AutoScout24 used user feedback to increase form submissions by 21.6%. Buying a car is an emotional process; not only is it a major investment for most buyers, but it’s often a significant life milestone. In the used car market, communication between the seller and buyer is vital for sharing information about the car’s condition, price and any other details. 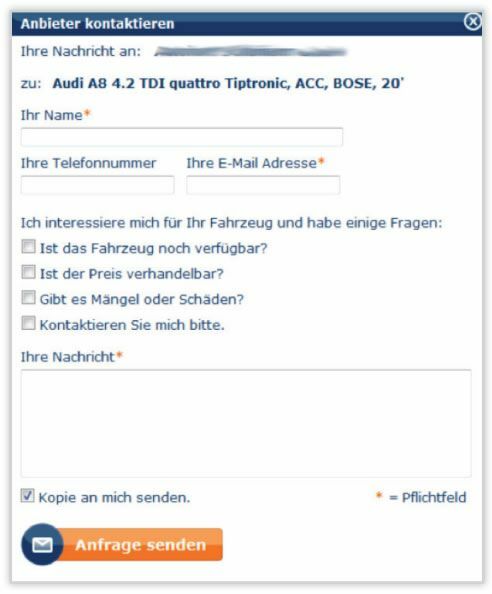 For AutoScout24, Europe's largest marketplace for new and used cars, all transactions start with an online contact form. It is a widely used part of the website that is crucial to their customers’ success: finding a car that’s a perfect match. In a user research study, AutoScout24 discovered usability problems with filling out the text box in the form and diagnosed this as a possible cause of low conversion rates. Car shoppers said they were not completing the contact form because they did not know how to communicate to the seller. 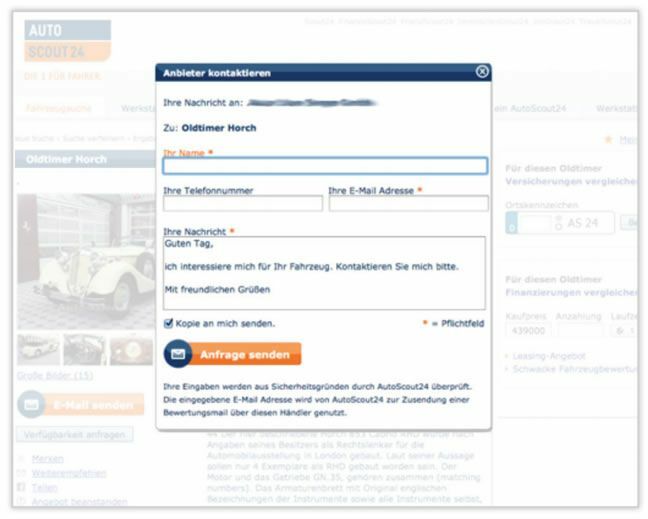 The team used Optimizely and partnered with the team at DieProduktMacher GmbH (an Optimizely solutions partner) to turn the user feedback into action, hoping they would be able to prove they had solved this usability issue while increasing the conversion rate on the contact form. Based on feedback from the usability study, the agency hypothesized that providing more pre-filled information in the form and decreasing the amount of original thinking (or effort) the shopper has to do would increase form submissions. The agency designed three variations of a form with different treatment of the pre-filled information as checkboxes, a drop-down menu, and pre-populated text box. “The less the user is forced to interact with the form, the greater the likelihood of a conversion,” Tobias, Chief Data Scientist at DieProduktMacher said. They tested three new form designs to determine which format would lead to the most form submissions. 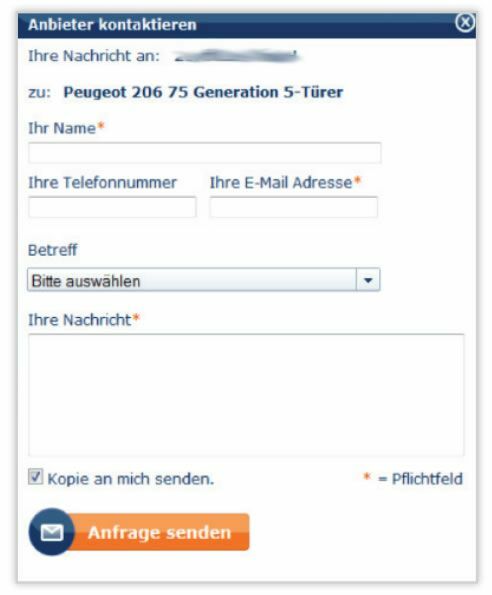 The original version of the contact form: blank fields and text boxes for a buyer to complete and send to the car seller. They tested the impact of a drop-down list of reasons to contact the seller as cited in the usability survey. They tested the same contact reasons in a checkbox format. After running this experiment with Optimizely, AutoScout24 learned that all three form variations outperformed the original. Variation 3 with pre-filled text was the highest performer, increased conversion rate on the form to 1.5% from 1.2%, a relative conversion increase of 21.6%. As this case study highlights, tests that directly address real user problems add measurable value. 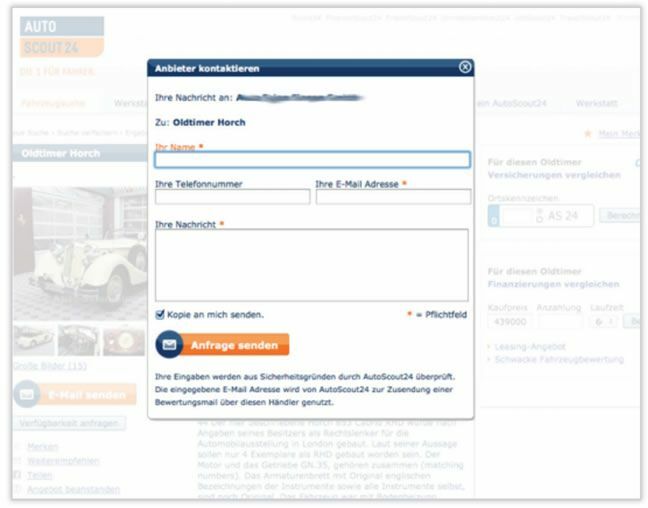 AutoScout24 and DieProduktMacher GmbH used data from the usability survey to identify the problem, generate their hypothesis, and design variations for this experiment. The common reasons shoppers cited for contacting a seller became the content of the text used in the variations and ultimately became a crucial part of the user experience. Using direct user feedback to inform test hypotheses leads to more impactful tests that generate measurable improvements in conversion. Testing and data-driven decision-making is engrained in AutoScout's DNA. The team tests payment processes, search & sharing functionality, landing pages and new product features before they go live to make sure they build products that people will actually use. Thanks to Optimizely, we tripled the revenue from our product over the last 3 years. This would not have been possible without A/B testing.